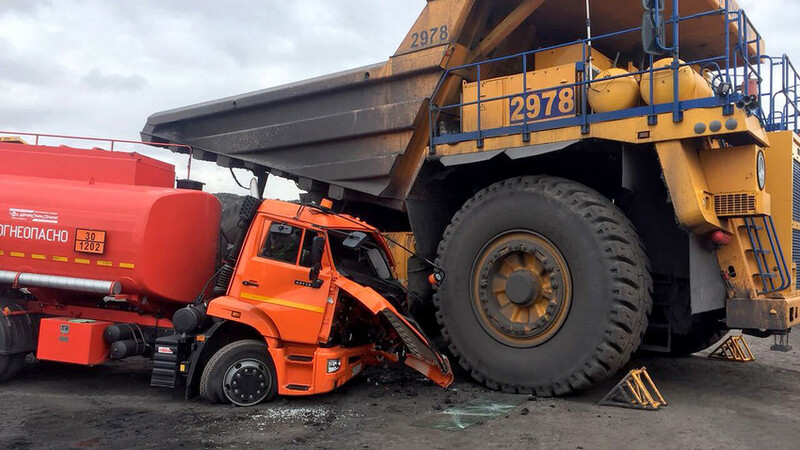 A 38-year-old woman was driving a 130-ton BelAZ dumper truck on a road in Central Russia when she collided with a KAMAZ truck, which was much smaller. 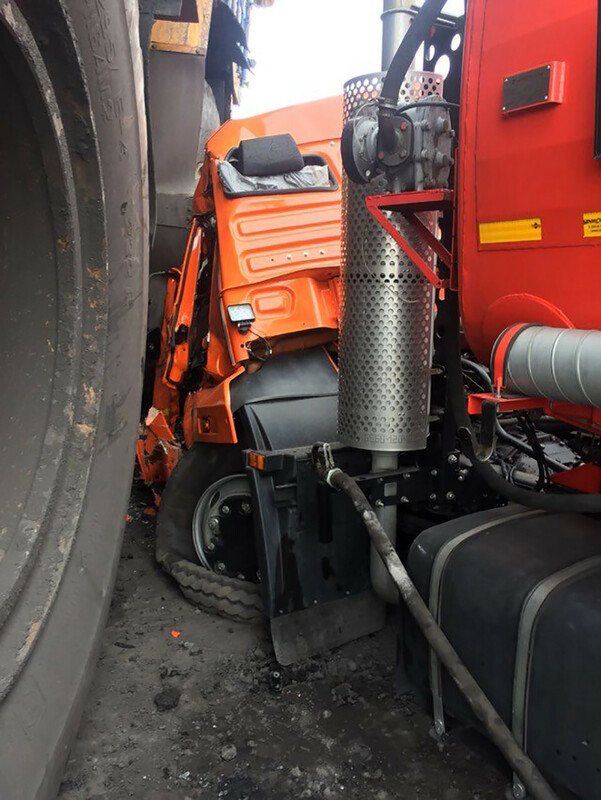 The monster vehicle seriously damaged the cabin of the vehicle, but luckily no one was hurt. 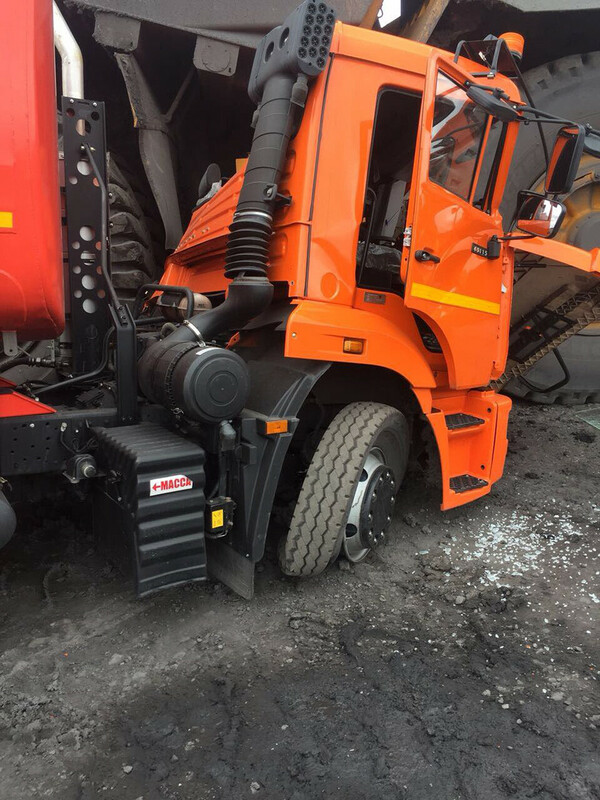 The female driver, who caused the accident after failing to check her rear mirror, had to pay a $10 fine, which pales in comparison to the amount of money the poor driver of the KAMAZ will have to fork out to fix his ride.